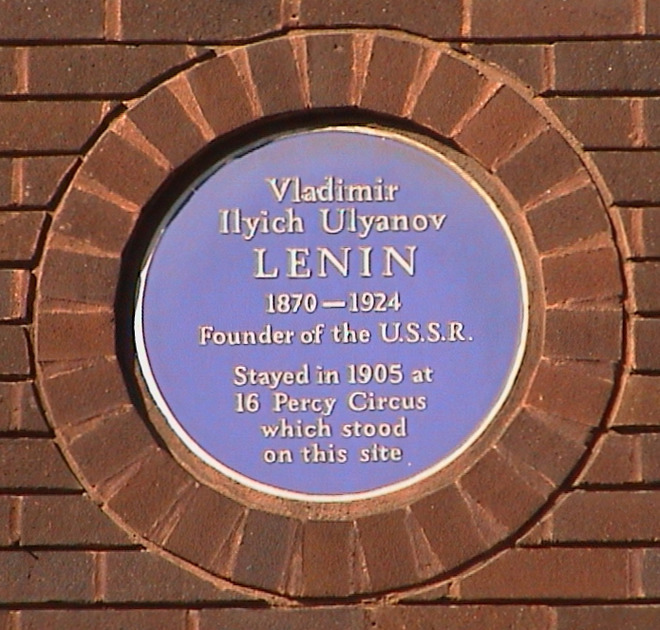 Vladimir Ilyich Ulyanov Lenin, 1870 - 1924, founder of the USSR, stayed in 1905 at 16 Percy Circus which stood on this site. 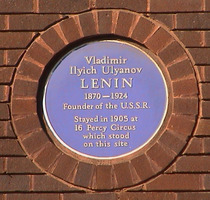 The plaque was initially erected in 1962 on the original building which was demolished in 1968. It was erected on the new building in 1972. This fake facade is the rear of the hotel on King's Cross Road. In 1969 the authentic Victorian houses were demolished to make way for the hotel and this was the best the local people could wrest from the developers. Local History carries a very informative page on this area.